NYC, 02/27/2019, 5:30PM. The English Wife. 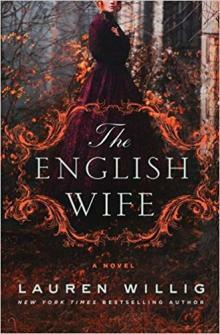 New York Times bestselling author Lauren Willig, will talk on her scandalous novel, The English Wife, set in the Gilded Age, full of family secrets, affairs, and even murder. Lauren Willig is the author of historical novels. She is best known for her Pink Carnation series, which follows a collection of Napoleonic-Era British spies.